Now Is The Time To Let Your Inner Radiance Shine Through! By connecting with the Divine and Angels you can invite light into all areas of your life. You are able to illuminate your path and let go of all that no longer serves you, while igniting your inner passion, vibrant well-being, and an illuminated perspective. This new angel course contains 4 powerful channeled angel messages that will help you to live your high vibrational life now. 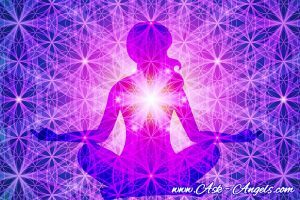 If you have been wanting to align with your passion, your true purpose, and the infinite power of your inner soul light, this new angel course is for you. Restore your energy, essence, life force vitality, and raise your vibration so you can shine brighter than ever before. Release all that weighs you down, and cut cords from others who are draining you energetically either consciously or unconsciously. Connect with the infinite power and presence of Divine Love to heal your physical body, and elevate your vibration to a new level. Unite with Divine Creativity and infuse your consciousness with the infinite joy, power and creative potential of your soul. With help from the angels, and Archangel Michael you can infuse your entire life with love and blessings and ride this powerful new wave of ascension energy into your Highest Vibrational Life! With over an hour of high frequency channeled angel messages, you are able to effortlessly connect with your team of guides and angels to increase your vibration and align with your highest purpose. Remember that you get my 100% no questions asked, money back guarantee… So you have no risk, you can try this course out and if you don't love it, just send me an email and I'll gladly refund the entire purchase price. I keep asking you if I can download the mp3s to multiple devices and I can’t get an answer. I’ve asked the support Center and I still haven’t received a response. I’m afraid to purchase anything else if I can’t get a response from the support Center. You can download to multiple devices… I don’t actually see an email from you in our support center though. 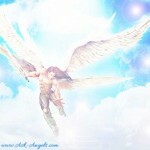 Did you send to support@ask-angels.com ?